Thought I would post my old race photos for those who can remember, those who wish they could remember and those who are too young to remember. If there are others who wish to contribute, please do. These shots are not edited for quality, just what I took at the time. Some have been cropped. First up, Aust GP 1990 Adelaide, Brewery Bend. Andrew and Mike will probably cry. Starting with the aftermath of a massive accident where a young Skaife destroyed a GTR. Some of mine would nearly qualify as 'old race photos' now. Lmao! Awesome photo's there. I invited Allan Grice to check them out. He loves looking at the older stuff. My older brother and his mate used to go to Bathurst every year from 1979 onwards. His mate was a real keen photographer. He took over 8,000 photos from 1979 to the mid 90's (all on film) when he stopped shooting. He has sat on his collection ever since and kept the photo's locked in albums never on show. We have been onto him for years to get them digitised and share them around. His negatives are all still in good condition. Well finally he has done it and had a guy digitise them for him. Peter, the guy who took the photos now is a personal trainer who specialises in training race drivers. For those on Facebook he has a site called Race Fit and he is starting to share some of the photos. Go to the face book site and have a look, (I tried to share to here but could not figure out how to share photos here) he will be posting more and more as we come into Bathurst. Some of the photos already on there are just sensational, he not only has got great shots of the cars but he also took plenty of the crowd and the track, and looking at the photos its amazing how both have changed over the years. The guy who digitised all 8,000 is currently sorting through them to pick the best 1,000 odd and will be posting them on his web site autopics.com.au sometime in the next 6 months. So have a look as they will be good photos of the by gone era of Bathurst. 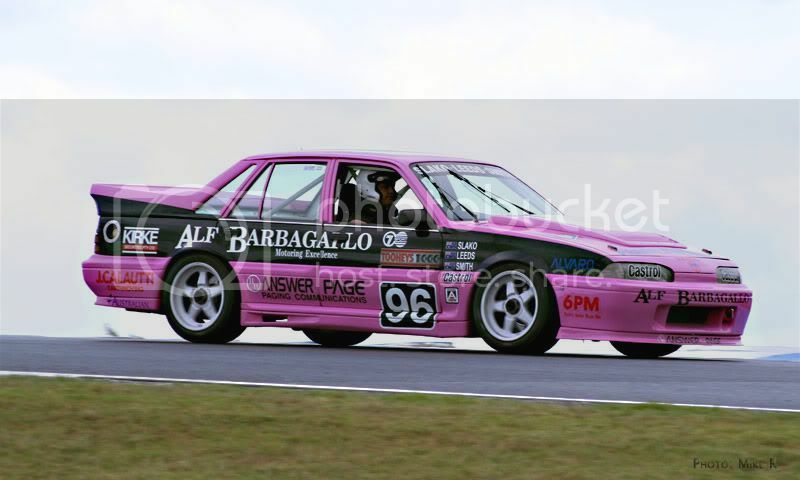 I am looking for any photo's of the Ex Tim Slako Pink Walkinshaw when it was owned and raced by Ian Love in 1991 and 1992. The car was still pink and black and only raced at Wanneroo WA. The car also raced at Wanneroo ATCC 1990 driven by Alf Barbagallo. Any pics of 1990 also appreciated. Sorry a bit late but I grabbed this from PI Historics 2009. Now here is an interesting photo - of the BMW Brock raced. Interesting pic this one, JPS had the fuel fillers in that position in 87. Brock moved them to the bootlid in 88 and I've just put the fuel fillers back to being between the tail lights. He covered the original filler holes as thy weren't being used anymore and the covered back panel was replaced after an accident at Amaroo in Feb 93 where the whole back end was badly damaged. 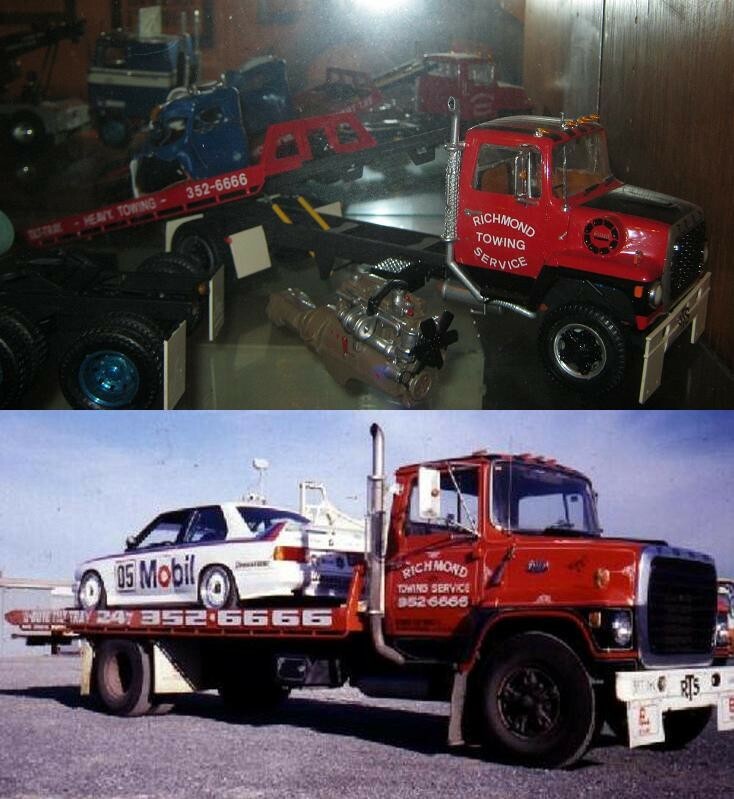 I'd love to see any more Brock M3 pics as the history of the car is a little thin for 1988. I actualy went to the unveiling of this car and the sistercar that was build at the same time for Alf Barbagallo. was done at the dealership showroom on scarborough beach road osborne park. Digging up pictures of that will take a while if I can find them at all. As did Phil Johnson who also bought the VN race car of Alf and then became the clarrion race car, sold on to the Pretty family and raced as the De Walt machine in Bathurst. Last edited by Still ferrari fan; 04-10-2011, 08:45 AM. thats a good site to refernce off, ive got lots of ideas from there. Anybody got pics of the Gricey/Percy '88 Bathurst VL? One car I cannot seem to find pics of. There you go, good website to save if you are looking for any Aussie racing cars Minno.